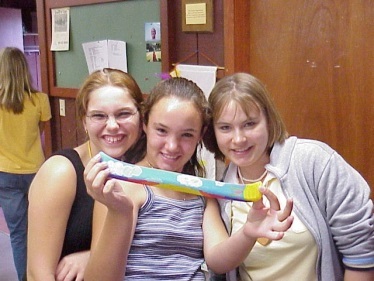 The River of Dreams (ROD) program gives children the opportunity to learn about rivers, watersheds, and how we are all connected through them. 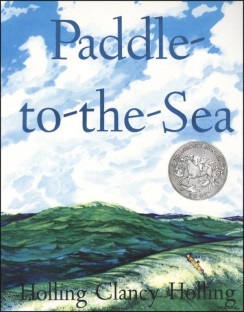 Inspired by the Caldecott Medal-winning children’s novel “Paddle-to-the-Sea” by Holling C. Holling, ROD takes elementary students on a journey through both their watershed and imagination. Much like the boy in the story, students will learn how all people are connected through watersheds. In the process, they will gain an understanding of new terms and ideas. In addition to grasping new and exciting concepts, ROD students will be encouraged to use their creative genius to decorate a small cedar canoe and develop a “dream” for a voyage of their own. The boy in “Paddle-to-the-Sea” dreamed that his canoe would make it to the ocean after traveling through all of the great lakes from its origin in the Nipigon region of Ontario, Canada. Students are asked to think about what their canoe’s journey will be like. Will the canoe be rained on, frozen into a sheet of ice, or used in a beaver dam? Will the journey be scary, exciting, or fun (or all)? Perhaps the canoe will make it all the way from their town to Winnipeg, Manitoba - or beyond? The possibilities are endless, as is the variety of different designs and dreams which will emerge from the canoe decoration phase. After displaying their canoes and dreams to members of the community, each participant releases their vessel in the river nearest their town, sending it on its journey to the sea. Student involvement does not end there, however. Each canoe is equipped with information to track its whereabouts, using our web application at riverofdreams.org. Citizens who find a canoe downstream will be encouraged to follow the instructions on the canoe to log the geographic location where it was found and then release it back into the water in a place where it has a good chance to continue its journey downriver. Each student will be able to access a page online to keep tabs on their canoe’s progress, including a map showing locations where it was found and (if provided) a message from the discoverers. 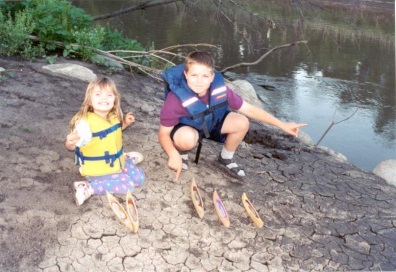 If they wish, students can continue tracking the canoe during the summer months at home. In addition, teachers will be able to access a page showing the progress of all canoes launched by the class. Communities downstream and along the Red River will be notified through news releases to look for the canoes and keep them moving down the river.